Sarah over at Mitenska has had posts on miscellaneous things in her week. 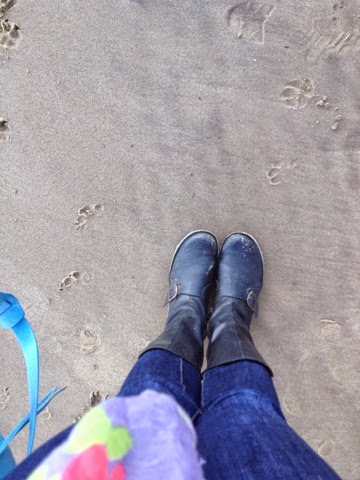 Gillian writes about her weekly happies. I'm going to do a combination of these two things. I not usually such a join-er in-er (is that a word/phrase??) but I can't not join in with these. 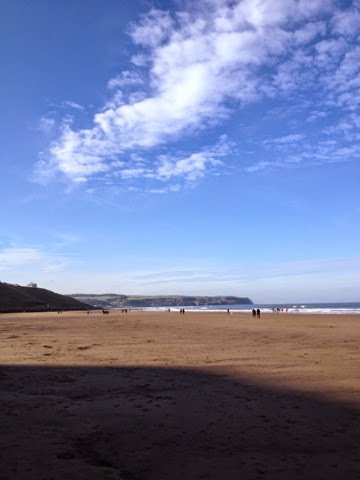 We had a fabulous day out in Whitby. The sun shone and the weather was warm (for the end of October). 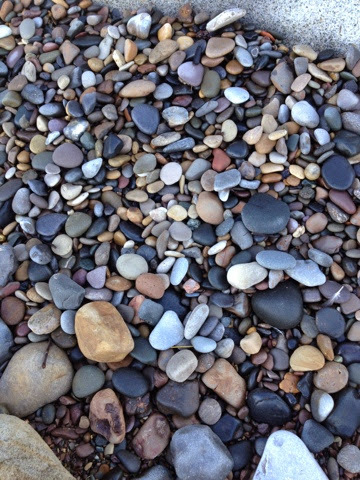 We made collections of stones (and brought a few home), played crazy golf, ate fish and chips and ice cream. It was a very good day. We all slept well after the sea air! I traversed the entirety of Leeds to get a pumpkin on Halloween. A trip to big Tesco resulted in no pumpkin (but nappies - the real reason for going) but BigR did see Tesco staff members dressed up for Halloween, and from no where (when the music started) run into the centre of the store and start dancing (in time) to Thriller. Very random but very good. This resulted in much YouTube after to see MJ in action. She wasn't sure if he was brilliant or not. 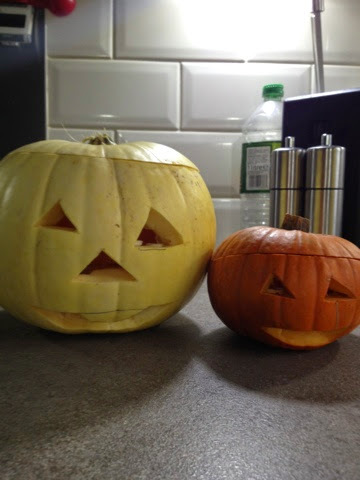 I did eventually get a couple of pumpkins in our local veg shop. One was very anaemic....scary :) they're still sat on plates in our kitchen and going slightly fusty now so I'll have to spirit them into the bin later tonight (under the cover of darkness) so there are no protestations. 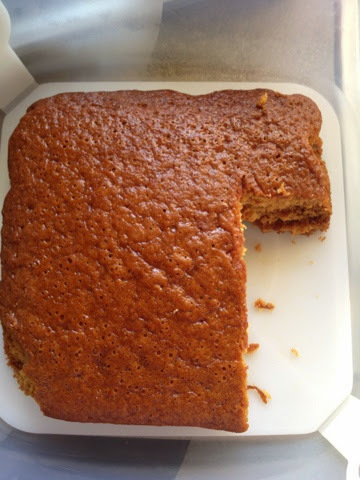 I made a ginger cake following this recipe. Yum. It's gone now. I ironed and ironed and ironed to X factor. I think the ironing made X factor better. 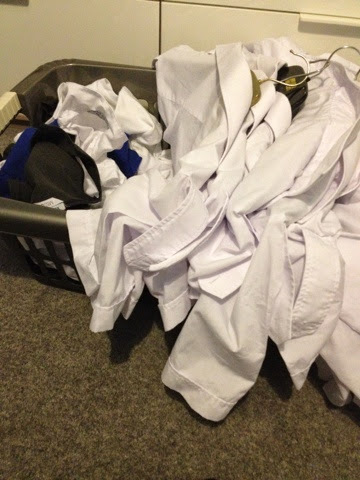 I finished all the ironing and gloried in that moment where there was no more ironing. Sadly, there's now more ironing. who though uniforms and being smart was a good idea? 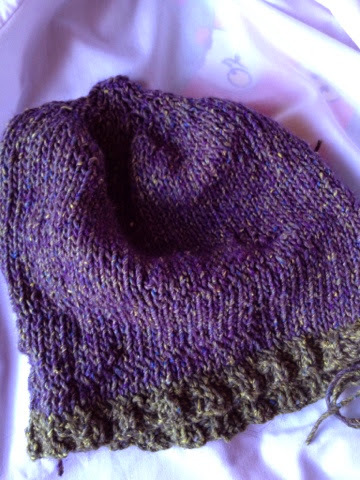 I finished knitting my hat. It's blue and green not purple. It's a bit big. Maybe I should've made the biggest child's size? It looks a bit wonky here too but 'in real life' it isn't. I will be wearing it. Maybe I'll even model it? 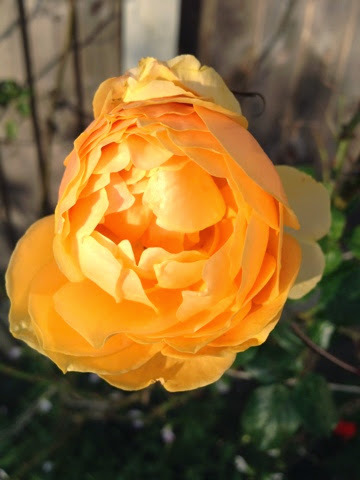 I took more pictures of roses in the garden. 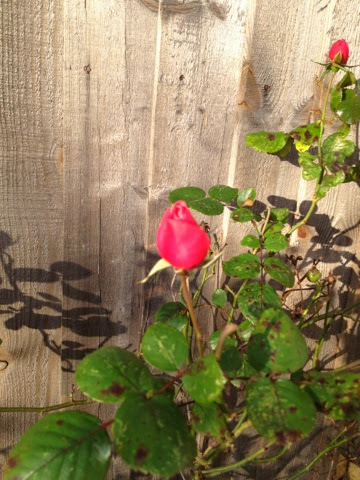 Still yet more appear and flower (don't look at the black spot on the leaves) and it's November. Just beautiful. I've been reading lots too....recipe books mostly. In bed. Today I've been embracing The Smiths. Spurred by this post from Leanne. This isn't my favourite Smiths song but it's got very good jangly guitars. I love Johnny Marr. The hat looks great - it's always hard to get a good picture of a hat that isn't sitting on a head. I hardly ever iron, pretty much only when I'm sewing! I think people iron a lot more over there. No wonder we're failing at everything. :) I really like your hat. And your cake looks delicious!